Established in the Mumbai, India, PixelKiosk is a proven, global Internet consulting and development agency helping clients to create and implement full-service digital business solutions. At PixelKiosk we have a passion for using the power of the web to communicate your message and value as effectively and attractively as possible. With PixelKiosk you’re not just getting a website, you’re getting a solidly-constructed, search-engine friendly, customized marketing tool that will scale up fluidly as you discover new ways to take advantage of the web. Our business-driven approach separates us from typical web design companies. For the past eight years, we have built a reputation for creating an unparalleled return on investment for our clients. If you are serious about your web design success, we can get you there. 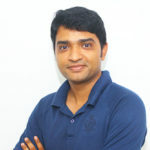 Born in 1983 in Jalgaon, Atish has seven years’ experience working as front-end web developer. After serving five years as contractor working for several major American advertising agencies, he established Pixelkiosk in 2011. 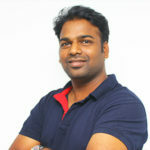 Atish serves as our quality assurance guy, making sure PixelKiosk’s clients are 100% satisfied. In his spare time Atish loves travelling, and playing CRICKET – a very popular game in India – as well as keeping up to date on the latest website trends. Dattaprasad was born and brought up in Konkan and loves the vibrancy of his home city. He is our WordPress expert and there isn’t much about WordPress and PHP that Dattaprasad doesn’t know. He reads WordPress blogs and keeps up to date with the latest trends in order to make full use of the WordPress functions. Anil is crazy about WEB DESIGN. With over six years’ experience, for Anil web design is more than just a job – but a means of expressing his passion and creativity. He is well versed in Photoshop, Dreamweaver, HTML and CSS. He loves reading books and listening to music. Ganesh likes rhythm and this shows in his desire for his work to be in harmony with the developers. He specializes in using Semantic Elements (HTML5) and the latest coding standards to make sure his websites stand apart from the competition. Ganesh welcomes partnership and creative feedback with our clients in order to maintain a smooth and stress free working process. When not at his computer, Ganesh enjoys music, books and traveling. 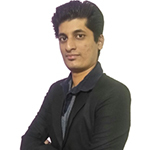 Born in 1983 in Jalgaon, Atish has seven years’ experience working as front-end web developer. After serving five years as contractor working for several major American advertising agencies, he established Pixelkiosk in 2011. Atish serves as our quality assurance guy, making sure PixelKiosk’s clients are 100% satisfied. In his spare time Atish loves travelling, and playing CRICKET – a very popular game in India – as well as keeping up to date on the latest website trends. Dattaprasad was born and brought up in Kokan and loves the vibrancy of his home city. 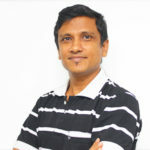 He is our WordPress expert and there isn’t much about WordPress and PHP that Dattaprasad doesn’t know. He reads WordPress blogs and keeps up to date with the latest trends in order to make full use of the WordPress functions. Ganesh likes rhythm and this shows in his desire for his work to be in harmony with the developers. He specializes in using Semantic Elements (HTML5) and the latest coding standards to make sure his websites stand apart from the competition. Ganesh welcomes partnership and creative feedback with our clients in order to maintain a smooth and stress free working process. When not at his computer, Ganesh enjoys music, books and traveling.